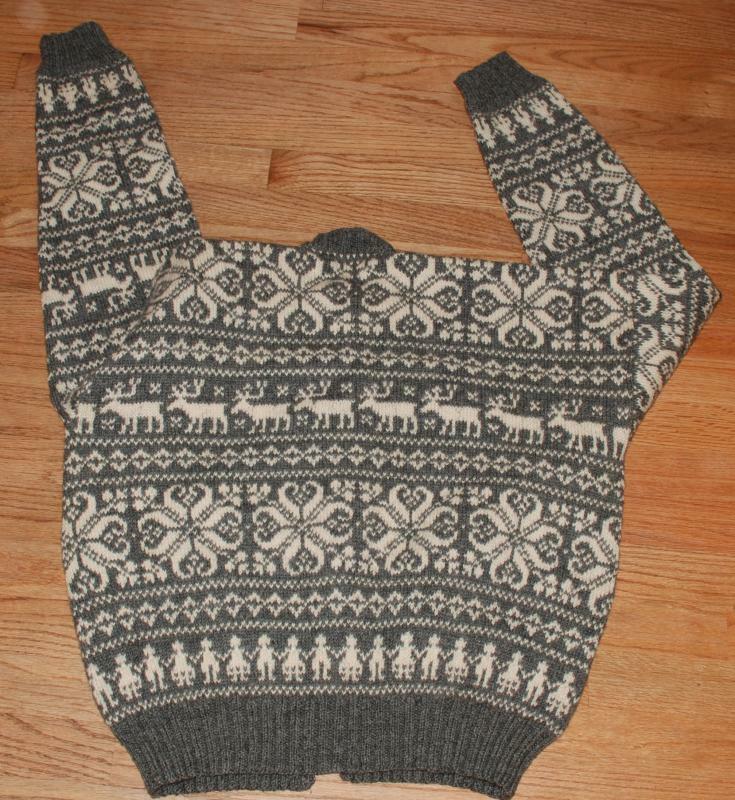 Vintage Norwegian Cardigan Sweater with Reindeer and People Pattern, Hand Knitted in Norway , HUSFLIDEN Size 54 Grey and Cream, Excellent condition. 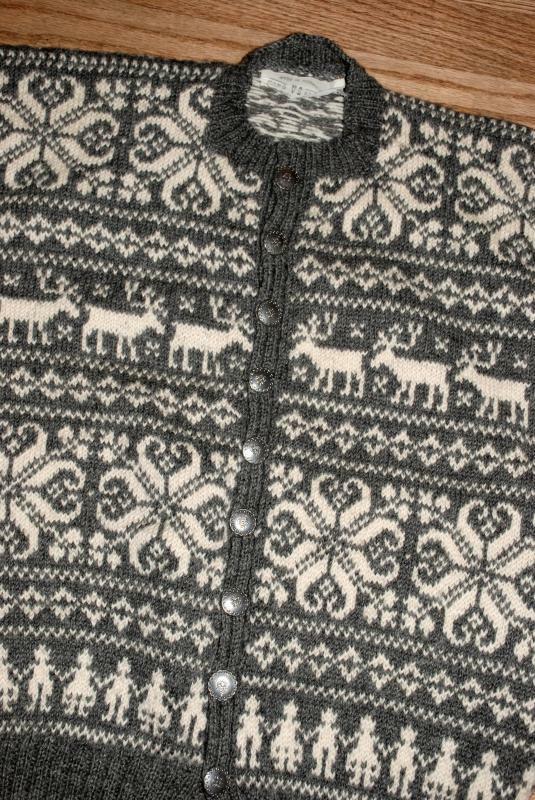 Vintage Norwegian HUSFLIDEN Cardigan Sweater with Reindeer, Snow Flakes and People Pattern, Hand Knitted in Norway , VS Size 54 Grey and Cream, Excellent condition. 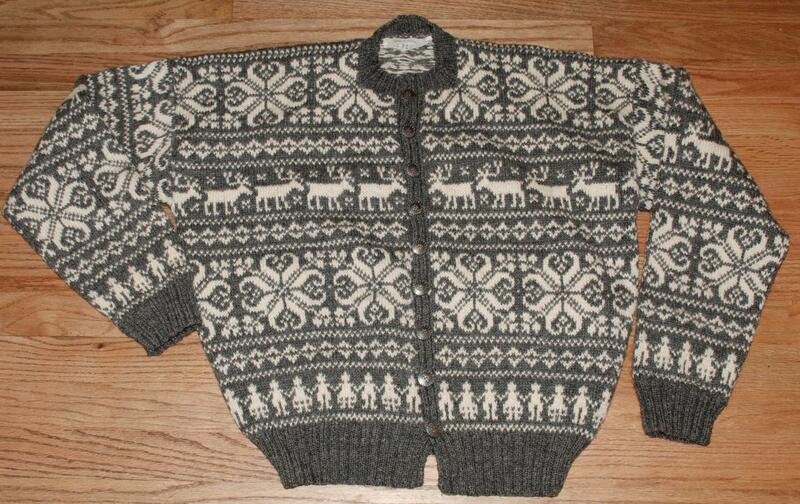 It is a men's sweater only because the buttons on the right but seriously it can be a unisex sweater. The knit is thick and tight to keep out the cold are and keep your toasty warm. 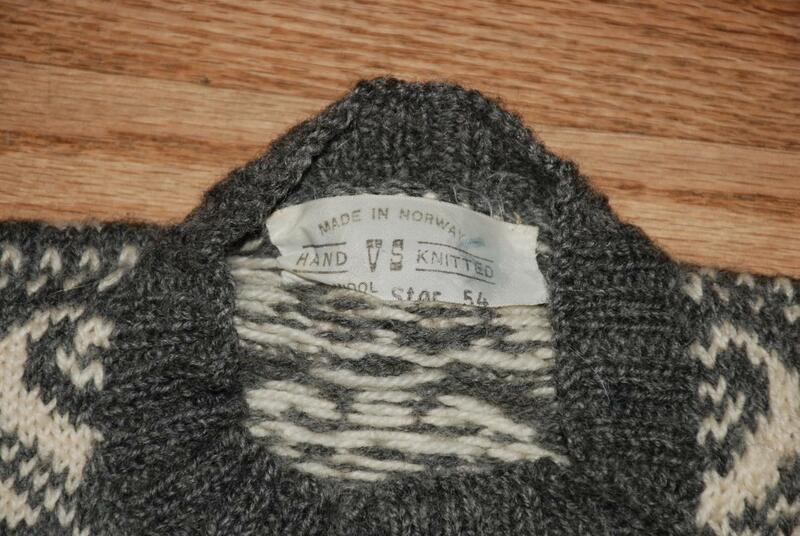 The tag is marked with a "VS" between the words "Hand" and" Knitted". So I am not certain if VS is a company or has some other meaning. But what does it matter when is clearly obvious this sweater is of superior workmanship and Incredible pattern. It has stamped metal buttons that I assume are pewter. Chest from armpit to armpit. is 23"
Length from shoulder to hem is 23"